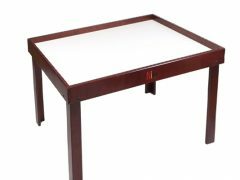 N34D - Nilo® Lego/Duplo® Table in Dark Mahogany, U.S.A! 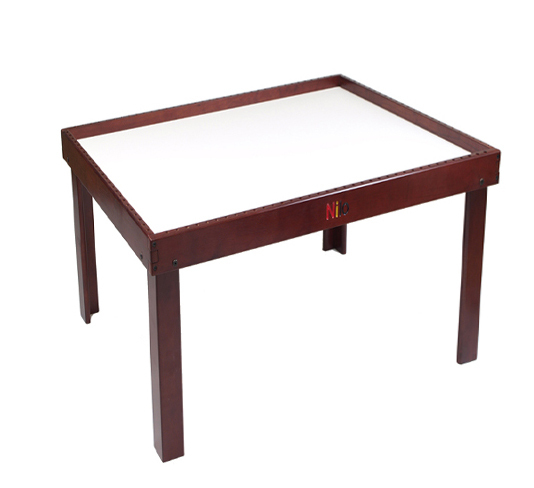 Finally, our “with holes in frame” tables features holes around the border for cool activities, like our Slide Hammer ‘N Nails, Nilo-Jax, Rok-Jax, Fiddlestix and Zoobs! Talk about added value! 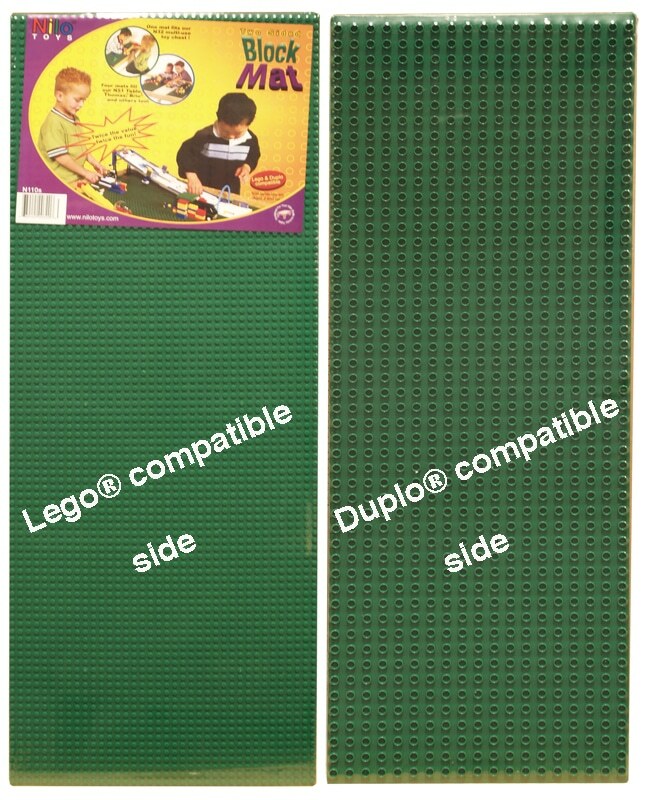 We also sell our Base Plates, Block Mats as we call them in five different colors! Note, the benefit of our design with our Base Plates is your child may start an project on our mat sitting on the table, then you may remove the mat with project on it to use the table for another use…then later simply place the Base Plates with project back onto the table top and continue to build! Additionally, you are easily able to wash the Base Plates, clean them since they weigh only 2 pounds. Many Lego tables are permanently attached to the table top…there is no way to wash the Block Mats (base plates).